Erenumab, a human monoclonal antibody against the calcitonin gene-related peptide receptor, is used for the prevention of migraine headache. LOS ANGELES — Erenumab administered subcutaneously once monthly significantly reduces the number of days requiring medication for acute headache (AHM) each month vs placebo in patients with episodic migraine (EM), according to research presented at the 70th annual American Academy of Neurology meeting, held April 21-27, 2018, in Los Angeles, California. Erenumab is a fully human monoclonal antibody designed to selectively inhibit the calcitonin gene-related peptide receptor, which plays a major role in migraine activation. 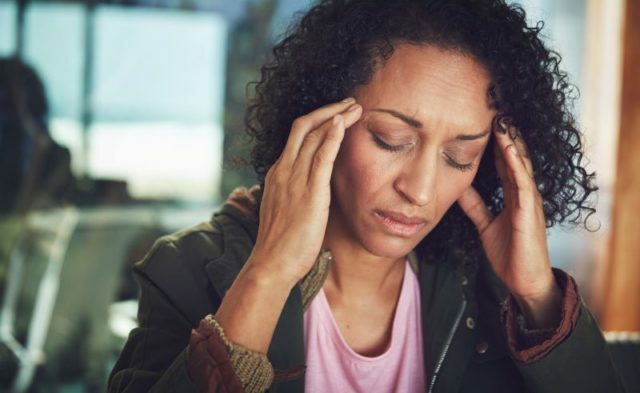 The STRIVE (ClinicalTrials.gov Identifier: NCT02456740) placebo-controlled, phase 3, double-blind study was designed to determine the efficacy of erenumab for the prevention of EM, defined as 4 to 14 migraine days per month. A total of 955 patients were randomly assigned to receive monthly doses of subcutaneous erenumab at 70 mg or 140 mg, or placebo. Patients used a daily eDiary to record the number of days requiring AHM and their use of acute migraine-specific medications (AMSM) and pain relievers such as paracetamol and nonsteroidal anti-inflammatory drugs during a 4-week baseline phase, as well as during the 6-month erenumab treatment phase. The number of days requiring AHM and AMSM was calculated and then analyzed using a linear, mixed-effects model that included covariates of visit, treatment, treatment by visit interaction, stratification factors such as region and status of migraine prophylaxis medication, and baseline value. The baseline number of days requiring AHM and AMSM was determined during the 4-week baseline period before the 6-month study. Compared with placebo, participants on the 140-mg dose of erenumab experienced, on average, a 2.30-day (95% CI, -2.77 to -.183; P<.001) reduction in number of days requiring AHM averaged over months 4 through 6; an average 1.57-day (95% CI, -2.04 to -1.10; P<.001) reduction was seen for participants on the 70-mg dose. This study was supported by Novartis/Amgen. For more coverage of AAN 2018, click here. Reuter U, Bonner J, Broessner G, et al. Use of acute headache and migraine medications in patients with episodic migraine in the STRIVE phase 3 trial of erenumab for migraine prevention. Poster presented at: 2018 AAN Annual Meeting; April 21-27, 2018; Los Angeles, CA. Poster 118.